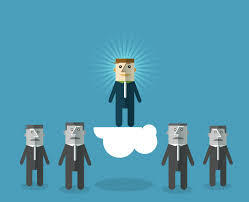 To learn about teamwork, management gurus tend to study collaboration in companies. Most don’t consider rock ‘n’ roll groups as an appropriate venue for studying teams. 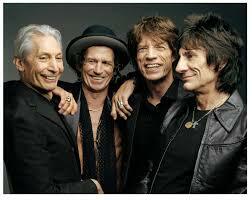 After all, what is a life in rock ‘n’ roll if not a quest to escape the 9 to 5? As the CEO of Rock ‘n’ Roll Fantasy Camp (David) and part-time musician and Senior Partner at McKinsey & Company (Scott), we’ve observed that the best bands – the ones that last – achieve levels of teamwork and collaboration that business leaders would envy. In our experience, the best way to create such a plan is to hold regular strategy conversations with your top team, perhaps as a fixed part of your monthly management meeting. To make those check-ins productive, you should maintain a “live” list of the most important strategic issues, a roster of planned big moves, and a pipeline of initiatives for executing them. 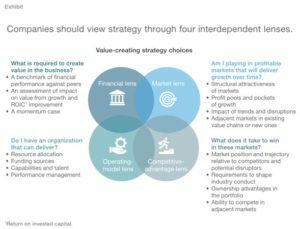 At each meeting, executives can update one another on the state of the market, the expected impact on the business of major initiatives underway, and whether it appears that the company’s planned actions remain sufficient to move the performance needle. 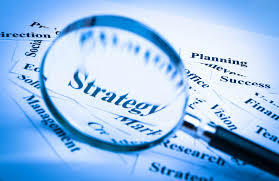 In this way, the strategy process becomes a journey of regularly checking assumptions, verifying whether the strategy needs refreshment, and exploring whether the context has changed so much that an entirely new strategy is necessary. To grasp what this process looks like in action, consider the experience of a global bank whose competitive context dramatically changed following the financial crisis. The CEO realized that both the bank’s strategy and its approach to refining the strategy over time as conditions changed needed revamping. He instituted biweekly meetings with the heads of the three major lines of business to identify new sources of growth. After making a set of “no regrets” moves (such as exiting some noncore businesses and focusing on balance-sheet optimization), the bank’s strategy council devoted subsequent meetings to confronting decisions whose timing and sequencing demanded close evaluation of market conditions. The top team defined these choices as “issues to be resolved,” regularly reviewed them, and developed a process for surfacing, framing, and prioritizing the most time-sensitive strategic challenges. In doing so, the team not only jump-started its new strategy but launched an ongoing journey to refine it continually. 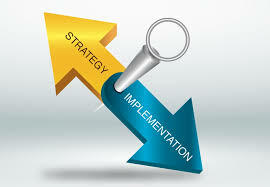 The goal of most strategy discussions is to approve or reject a single proposal brought into the room. Suggesting different options, or questioning the plan’s premise and therefore whether it should even be under consideration, is often unwelcome. Without such deeper reflection, though, you are less likely to make hard-to-reverse choices about how to win—which is problematic, because those choices are the essence of real strategy, and the planning process should be geared to shining a spotlight on them. 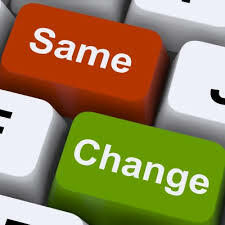 The conversation changes if you reframe it as a choice-making rather than a plan-making exercise. To enable such discussion, build a strategy decision grid encompassing the major axes of hard- to-reverse choices. Think of them as the things the next management team will have to take as givens. Then, for each dimension, describe three to five possible alternatives. The overall strategic options will be a few coherent bundles of these choices. Focus your debate—and your analysis—on the most difficult choices. 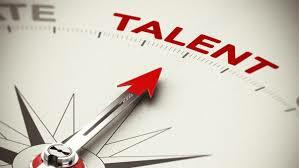 One company we know recently brought two very different plans into its strategy discussion: the first plan assumed the present, low level of resourcing, and the second one represented a “full potential” growth scenario, which necessitated dramatically higher investment levels. The latter option was a new possibility resulting from a positive demand shock. Alongside one another, the two plans stimulated vigorous debate about the company’s road ahead and what its posture toward the business should be. If you want real debate, you also need to calibrate your strategy. As we show in our book, the odds of a strategy leading to dramatic performance improvement are knowable based on analysis of your company’s starting endowment, the trends it is riding, and the moves you are planning. If your odds are poor, you should consider alternatives, which often will require making bigger moves than you made in the past. Forcing discussion about real strategic alternatives—such as different combinations of moves and scenarios with different levels of resources and risk—help you move away from all-or-nothing choices, as well as from those 150-page decks designed to numb the audience into saying “yes” to the proposal. Even a simple calibration can stimulate debate about whether a strategy has a realistic chance of getting you where you want to go. Consider the experience of a consumer-goods client with $18 billion in revenue and the aspiration of achieving double-digit growth. The company did a great deal of planning, and the aspiration, which rested on a bottom-up aggregation of each business unit’s plans, looked reasonable. However, publicly available information showed that among industry peers within the same revenue range, only 10 percent generated sustained, double-digit growth over ten years. The questions became: Is our strategy better than 90 percent of our peers? Really? What makes us stand out, even though we have performed like an average company over the prior five years? These questions were uncomfortable but important, and they contributed to a strategic reset for the company. It is nearly impossible to make the big moves that successful strategies require if resources are thinly spread across all businesses and operations. Our data show that you are far more likely to achieve a major performance improvement when one or two businesses break out than when every business improves in lockstep. You have to identify those breakout opportunities as early as possible and feed them all the resources they need. To stop spreading resources too thinly, you and your management team need to focus on achieving a few breakout wins and then work to identify those potential hits at a granular level. Excessive aggregation and averaging into big profit centers can prevent you from seeing the true variance of opportunity. One CEO we know had traditionally framed strategy discussions around growth of 4 to 6 percent and accordingly meted out resources to divisions. One year, he did a much more granular analysis and realized that one geography—Russia—was growing at 30 percent. He swamped the Russian operations with resources, created a more favorable environment, and subsequently enjoyed even faster growth from that unit. We’ve seen many senior teams move away from “peanut buttering” by using some form of voting to pick priorities. In some cases, that’s a secret ballot in envelopes. In others, CEOs set up a matrix showing all the opportunity cells and let executives allocate points to various initiatives by applying stickers to the matrix. Such a matrix can help you look at the market in ways that are different from how your organization is structured—which boosts the odds of achieving radical resource shifts. One company, for example, recently decided to examine plans one level down from the business unit and created a detailed curve of 50 or so specific, investible opportunities. The result was a much bigger shift in resources to the best opportunities. The social side of strategy often makes the three-year plan a cover for the real game: negotiating year one, which becomes the budget. Managers tend to be interested in years two and three but absolutely fascinated by year one, because that is where they live and die. You need to put an end to the strategy conversation being little more than the opening act to the budget. One of the worst culprits in these budget-driven discussions is the “base case”: some version of a planned business case anchored in various (largely opaque) assumptions about the context and the company strategy. The base case might obscure the view of where the business actually stands, which could make it hard to see which aspirations are realistic and, certainly, which strategic moves could deliver on those aspirations. A practical way to avoid this trap is to build a proper “momentum case.” This is a simple version of the future that presumes the business’s current performance will continue on the same trajectory—the highly probable outcome absent any new actions. 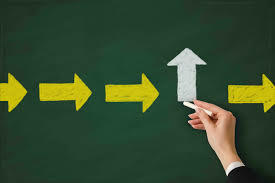 In this way, you get a sense of how much impact your moves need to deliver to change that trajectory. It is also critical to understand explicitly why your business is making money today. 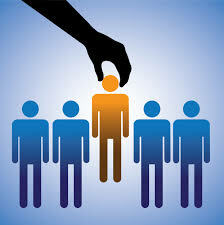 At a retail bank in Australasia, for instance, the leaders wanted to expand into overseas markets. The logic was, we are very successful, so we must be better operators than our competitors. We will move into other markets, where the operations are not nearly as efficient as in our home markets, and we will clean up. When the team looked at how the bank really made money, however, the operating metrics were unimpressive. The company’s success was largely due to its product strategy: the bank had a big exposure to residential mortgages, for which demand was very strong in Australia at the time. Another big source of profit was the bank’s excellent record of picking branch locations. But those choices were made by two people at the head office, so there was no reason to suspect that they would be as successful in Indonesia or other new countries. The bank gained these insights by doing a “tear down” of its results. This is a crucial part of sharpening the dialogue around big moves, and it is not that hard to do. Simply take the business’s past performance and build a “bridge,” isolating the different contributions that explain the changes. Most CFOs regularly do this for factors such as foreign-exchange changes and inflation. The bridge we are talking about considers a broader array of factors, such as average industry performance and growth, the impact of submarket selection, and the effect of M&A. Armed with a thorough, unbiased understanding of where your business stands and what has been driving performance, you can focus on what it would take to change your trajectory. Instead of asking for a target or a budget in the strategy meeting, ask for the 20 things each of your business leaders wants to do to produce a series of big moves over the coming period. Then debate the moves rather than the numbers expected to result from them. Why should we do this big move? Why shouldn’t we? How different does the company look depending on what risk and resource thresholds we set for it? Above all, talk about moves first, budgets second. Over time, your managers will come to recognize that if they do not have any ideas for big moves or cannot inspire confidence about their ability to pull off big moves, they will lose resources accordingly. 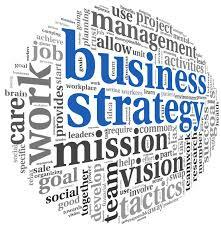 The handover between strategy and execution happens when the resources are made available to follow through on the big moves you identify. 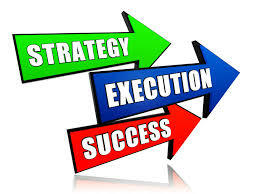 Execution can then begin, and managers can be held accountable. To mobilize resources and budgets, a company needs a certain level of resource liquidity. And you have to start early—the date your fiscal year begins. That is when serious productivity-improvement initiatives should be under way to free resources by the time allocations are decided later in the year. Then you must hold onto those freed resources so they will be available for reallocation, which requires determination. 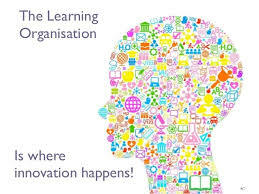 As soon as an engineer has time, your R&D organization will have creative new product ideas; the sales organization will identify attractive new business opportunities as soon as a productivity program has freed up part of the sales force. You need to be incredibly clear about separating the initiatives that free up resources from the opportunities to reinvest them if you hope to make big moves. Another way to enable resource reallocation is to create an “80 percent–based” budget: a variant on zero-based budgets in which you make a certain sliver (say, 20 percent) of the budget contestable every year, so money is forced into a pot that is available for reallocation when the time comes. Yet another option is to place an opportunity cost on resources that seem free but are not. You identify scarce resources, such as shelf space for retailers, and make sure they are measured and managed with the same rigor as conventional financial metrics, such as the sales and gross margins for which many retail managers are held accountable. This can be as simple as shifting to ratios (such as sales per square foot and returns on inventory for a retailer) that encourage managers to cut back on lower-value uses for those resources, thereby freeing them up for other opportunities. US conglomerate Danaher strongly emphasizes resource liquidity and reallocation. Originally a real-estate investment trust, the company now manages a portfolio of science, technology, and manufacturing companies across the life sciences, diagnostics, environmental and applied solutions, and dental industries. To avoid budget inertia, senior management at the company spends half its time reviewing and recutting the portfolio—much like private-equity firms do. The company even has a name for its approach: the “Danaher Business System.” Under this approach, which is based on the kaizen philosophy of continuous improvement, Danaher has institutionalized the resource liquidity required to chase the best opportunities at any point in time. It systematically identifies investment opportunities, makes operational improvements to free up resources, and builds new capabilities in the businesses it acquires. Over the past decade, the company has dynamically pursued a range of M&A opportunities, organic investments, and divestments—big moves that have helped the company increase economic profits and total returns to shareholders. 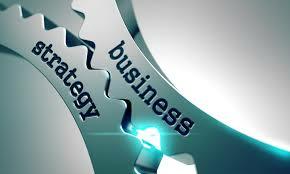 When business units develop strategic plans, they often set targets that they can be sure of reaching or exceeding. As you aggregate these plans on a corporate level, the buffers add up to a pretty big sandbag. The mechanism of aggregating business-unit strategies also explains why we see so few big moves proposed at the corporate level: individual unit heads tend to view M&A initiatives and other bold programs as too risky, so these moves never make the final list they bring into the strategy room. To make strides against sandbagging, you need to manage risks and investments at the corporate level. 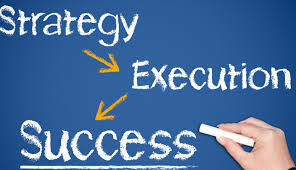 In our experience, a key to doing this effectively is replacing one integrated strategy review with three sequential conversations that focus on the core aspects of strategy: first, an improvement plan that frees up resources; second, a growth plan that consumes resources; and third, a risk-management plan that governs the portfolio. This approach triggers a number of shifts. People can lay out their growth plans without always having to add caveats about eventualities that could hamper them. You could ask everyone for growth or improvement plans, possibly insisting on certain levels to make sure everyone is appropriately imaginative and aggressive. Only after executives put their best ideas on the table do you even begin to discuss risk. By letting business leaders make risk an explicit part of the discussion, you change their perception that their heads alone will be on the block if the strategic risk cannot be mitigated. They will share what they know of their risks rather than hiding them in their plans—or not showing you an initiative at all because they deem the personal risk to be too high. Consider the experience of a retailer whose traditional strategy approach was to roll up the plans of each of its different brands. One year, the company instead racked up the full set of about 60 investible opportunities and assessed them against one another, regardless of the brand or business unit with which they were connected. The dispersion between opportunities was striking. A portfolio-level view also led to a different answer about the right risk/return threshold than had emerged from assessments made earlier by individual divisional leaders. It turned out, perhaps counterintuitively, that there was too much capital going to the smaller businesses, while the biggest business had major, underfunded opportunities. Whatever shifts you make, you cannot make them alone; you need to bring your team along. We often see managers being pushed to accept “stretch targets”—with perhaps a 50 percent chance of being achieved, what we would call a “P50” plan—only to have these low, up-front probabilities ignored when it comes to the performance review at year end. People know that they “are their numbers,” and they react accordingly to attempts to set aggressive targets. Bringing probabilities to the fore can reset these dynamics. You need to have a sense of whether you are looking at a P30, a P50, or a P95 plan if you hope to have a reasonable, ex post conversation about whether the result was a “noble failure” or a performance failure. You also need to dig down on what drove the outcomes. Although you don’t want to punish noble failures, you don’t want to reward dumb luck, either. Rather, you want to motivate true high quality of effort. At W. L. Gore, maker of Gore-Tex, teams get data on performance and vote on whether the team and its leader “did the right thing.” This vote is often closer to the truth of what happened than the data itself. Ultimately, you also need a sense of shared ownership in the company’s fortunes and a clear alignment of incentives to get the full commitment of your team to the big moves you need to make. To deliver the message that people will not be punished simply because a high-risk plan did not pan out, we suggest developing an “unbalanced scorecard” for incentive plans that has two distinct halves. On the left is a common set of rolling financials with a focus on two or three (such as growth and return on investment) that connect to the economic-profit goals of the division and enterprise. On the right is a set of strategic initiatives that underpin the plan. The hard numbers on the left help establish a range for incentives and rewards, and the strategic initiatives on the right can be a “knockout” factor, with P50 plans getting treated more softly on failure than P90 moves. In other words, the way you get the results matters as much as the results themselves. Playing as a team counts here, too. The right thing to do at a portfolio level does not always mean every individual “scoring the goal.” For example, it’s a good idea to have fire stations strategically located throughout your city, but you don’t heap rewards on the one fire station that happened to be near the big conflagration. You look at the performance of the system as a whole. The urge to push individual accountability can actually be counterproductive when it comes to strategy, which is really a team sport. We see it all the time: big plans that excite leaders with grand visions of outcomes and industry leadership. The problem is that there is no link to the actual big moves required to achieve the vision—and, in particular, no link to the first step to get the strategy under way. 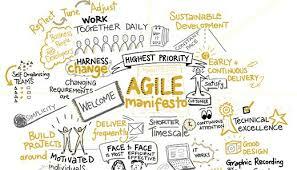 Most managers will listen to the visions, then develop incremental plans that they deem doable. Often, those plans get the company onto a path—but not one that reaches the vision or exploits the full potential of the business. That is why the first step is crucial. After identifying your big moves, you must break them down into what strategy professor Richard Rumelt calls “proximate goals”2: missions that are realistically achievable within a meaningful time frame—say, 6 to 12 months. Work back from the destination and set the milestone markers at 6-month increments. Then test the plan: Is what you need to do in the first 6 months actually possible? If the first step isn’t doable, the rest of the plan is bunk. One insurance CEO worked on a vision with his team that concluded there would be no paper in the insurance business in ten years. But when he asked for the plan for the upcoming year, paper consumption was set to increase. So, he asked, “To connect to our vision, would it be viable to be flat in paper next year and go down in the next?” Of course, the team had to say yes. By framing a first-step question, the CEO forced the strategy. 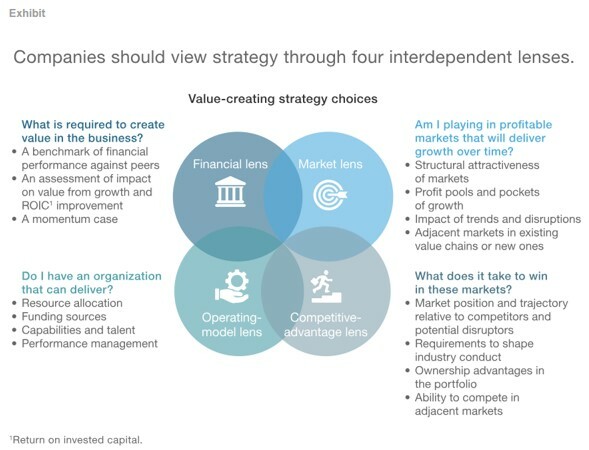 Pursuing these shifts should increase your chances of making big, strategic moves, which, in turn, increases your likelihood of jumping from the middle tier into the elite ranks of corporate performance. In fact, our research shows that making one or two big moves more than doubles your odds (to 17 percent, from 8 percent) of achieving such a performance leap. Making three moves boosts these odds to 47 percent. But keep in mind that the eight shifts are a package deal—if you don’t pursue all of them together, you open the field to new social games—and that it takes a genuine intervention to jolt your team into this new way of thinking. How? Here’s an idea: Create a new strategy process that reserves ten days per year for top-team conversations and introduce the shifts one meeting at a time. If things go wrong in a meeting, they go wrong only in one place, and you can “course correct” for the next conversation. And if you discover at the end of the ten days that you have not been able to free up all the resources you feel are needed, that’s OK. Take the resources you were able to free up by the end of this first planning cycle and allocate them to the highest priorities that emerged from it. 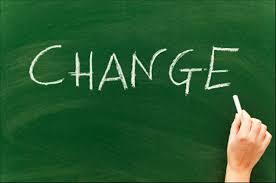 You will have made progress, and, more importantly, your team will now understand what this new process is all about. That is a first step in its own right, and if you want to boost the odds of creating a market-beating strategy, it’s probably the most valuable one you can take. About the authors: Chris Bradley is a partner in McKinsey’s Sydney office, Martin Hirt is a senior partner in the Greater China office, and Sven Smit is a senior partner in the Amsterdam office. This article is adapted from their book, Strategy Beyond the Hockey Stick: People, Probabilities, and Big Moves to Beat the Odds (Wiley, February 2018). Det här lockar unga talanger till ert företag! Förmåner som hög lön och tjänstebil räcker inte. Här är fyra mer oväntade sätt som kan locka talanger till ert företag. I dag jobbar var tredje anställd svensk regelbundet på distans. Med hjälp av laptop, smartphone eller surfplatta samt bra molntjänster och digitala verktyg kan vi samarbeta smidigt – oavsett var kollegorna befinner sig. – Om tio år kommer distansarbete att vara betydligt vanligare, säger Oscar Varga, Eurofound, en av författarna bakom en ny rapport om distansarbete i EU, ”Working anytime, anywhere”. Den generation som kommer ut på arbetsmarknaden inom de närmsta tio åren kan nämligen hantera den digitala tekniken på ett helt nytt och mer självständigt sätt, menar författarna till rapporten. Johanna Håkansson, HR Manager på Telenor Företag, ser en tydlig trend bland dessa unga: De som söker jobb i dag – särskilt de mest ambitiösa och eftertraktade – ställer större krav på arbetsgivaren än vad deras föräldrar gjorde. – De funderar mer på vad arbetsgivaren kan göra för dem för att de ska hitta en bra balans mellan arbetet och sina fritidsintressen. De vill ha en större frihet att utföra sina arbetsuppgifter på tider som passar dem. Att de får bra digitala arbetsverktyg och vettiga tjänster kopplade till verktygen tar de för givet. 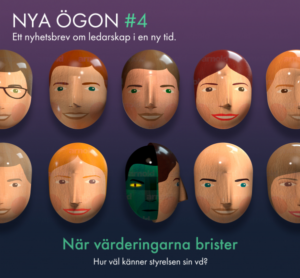 – Lön är fortfarande betydelsefullt, men viktigare är att medarbetaren ser möjligheter att själv styra över sin utveckling på företaget. Skapa en ledarkultur som präglas av närvaro, coachning och snabb återkoppling. Unga är vana vid att få en omedelbar feedback, exempelvis i social medier, och ser denna regelbundna respons som en självklarhet. Se till att era medarbetare har möjlighet att snabbt lära sig nya saker, på flera olika nivåer. Dels att det finns löpande utbildningar för den personliga utvecklingen, kombinerat med exempelvis ett mentorskap. Dels att det finns chans till kompetensutveckling, till exempel i hur man hanterar nya digitala verktyg och tjänster. Om ni erbjuder möjligheten till ett friare arbetssätt så tänk på att anpassa både arbetsmiljön och företagets värdegrund till detta. Tänk exempelvis igenom hur kontoret är utformat – skapa kreativa rum, olika zoner och så vidare. Och tänk på hur ni beter er mot varandra i vardagen så att det blir både acceptabelt och hållbart att arbeta mer flexibelt för alla som vill det. Hur bygger man en effektiv digital infrastruktur? Vilka tjänster och verktyg kan underlätta arbetet och samarbetet på just ert företag – och göra det mer attraktivt?